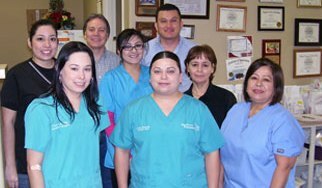 Martinez Pharmacy has been proudly serving the Laredo community since 2003. Many patients and families have become friends and loyal customers. We continue to pride ourselves in providing the best in pharmacy care. The level of professional service and personal attention demonstrates how dedicated we are to our customers' health. Our staff provides professional service and personal attention. Martinez Pharmacy guarantees that each customer’s health care is priority number one. We are here to help make your pharmacy experience pleasurable, and dependable.